Technology is all around us. From the outside world to our very homes, we are surrounded by technology big and small. From the moment we wake up until we doze off for the night, our gadgets are the last thing we hold. It is no wonder why people have a hard time sleeping these days. Our addiction to any smart gadget can’t be denied – whether it be a smartphone, tablet or iPad, smart TV, smart watch and so on. We have managed to integrate these technologies into our daily lives, which has a good and bad effect depending on the person. One of the inevitable consequences of too much technology use is losing precious sleep. But what if I tell you that you can actually make technology work for you, so you don’t compromise your health because of its use. 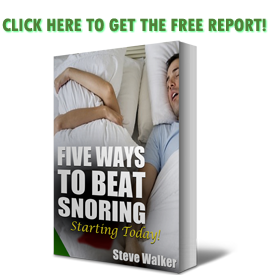 We understand very well how important sleep is to stay strong and healthy. And discovering how we can benefit from Fitbit to managing normal sleeping patterns and maintaining excellent sleep quality aside from just working out is good news for all. The company said data collected by the millions of Fitbit trackers in use show that people are averaging less than seven hours of sleep a night. And the Zs people do get aren’t necessarily the right kind of sleep. So Fitbit will offer deeper sleep tracking on some of its devices. 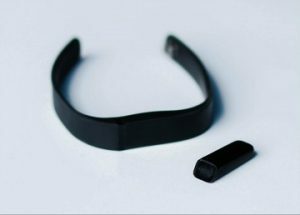 Fitbits already track how much sleep people get and use sensors to measure periods of being awake or restless while in bed. Now, using a built-in heart-rate monitor, the devices will break sleep into clinically defined stages. For individuals who may have some sleeping issues (not severe ones like sleep apnea) but are still hesitant to go to sleep clinics to get themselves checked, Fitbit may come in handy to let you know how you fare once the lights go out. Finally, like all Fitbit’s trackers, the Blaze will also benefit from Sleep Stages and Sleep Insights. With this update, you will be able to find out exactly how much REM, Deep and Light sleep you are getting each night. The values are calculated by combining accelerometer data, heart rate variability (the time between beats), and Fitbit’s proprietary algorithms. You’ll also find your 30-day average and benchmarking stats. Furthermore, the app will use all your activity and diet statistics to discover trends and then dish up personalized guidance on how to improve sleep. The more you wear your tracker to bed, the more personalized insights you may receive. You can choose to like or dislike each insight and send feedback directly to Fitbit’s team. Fitbit is serious in helping people with fitness and sleeping issues as they continue to make helpful and relevant upgrades that take their service to the next level. Those who have no trouble sleeping may just shrug off technologies like these but they are actually helpful for those who struggle to get a good night’s sleep each day. At least, you finally have a better use for technology and not just for pure entertainment only.